1 Section of Adult Cardiology, Cardiovascular Department, King Faisal Specialist Hospital & Research Center, Jeddah, Kingdom of Saudi Arabia. 2 Cardiac Center, King Abdullah Medical City in Holy Capital Makkah, Kingdom of Saudi Arabia. 3 Politecnico di Torino, Italy Armed Forces Hospital Southern Region, Khamis Mushayt, Kingdom of Saudi Arabia. 4 Cardiovascular Department, Armed Forces Hospital Southern Region, Khamis Mushayt, Kingdom of Saudi Arabia. 5 Cardiology Department, Zayed Military Hospital, Abu Dhabi, UAE. 6 Division of Cardiology, Baystate Medical Center, Tufts University School of Medicine, Springfield, Massachusetts. 7 Cardiology unit, King Abdul Aziz University Hospital, Jeddah, Kingdom of Saudi Arabia. 8 Internal Medicine Department, King Faisal Specialist Hospital & Research Center, Jeddah, Kingdom of Saudi Arabia. 9 Anesthesia Department, King Faisal Specialist Hospital & Research Center, Riyadh, Kingdom of Saudi Arabia. 12 College of Medicine, Mohammed Bin Rashid University of Medicine and Health Sciences, Dubai, UAE. Institute of Cardiac Sciences, Sheikh Khalifa Medical City, Abu Dhabi, UAE. Coronary artery disease (CAD) is a leading cause of death worldwide. The association of socioeconomic status with CAD is supported by numerous epidemiological studies. Whether such factors also impact the number of diseased coronary vessels and its severity is not well established. We conducted a prospective multicentre, multi-ethnic, cross sectional observational study of consecutive patients undergoing coronary angiography (CAG) at 5 hospitals in the Kingdom of Saudi Arabia and the United Arab Emirates. Baseline demographics, socioeconomic, and clinical variables were collected for all patients. Significant CAD was defined as ≥70% luminal stenosis in a major epicardial vessel. Left main disease (LMD) was defined as ≥50% stenosis in the left main coronary artery. Multi-vessel disease (MVD) was defined as having >1 significant CAD. Of 1,068 patients (age 59 ± 13, female 28%, diabetes 56%, hypertension 60%, history of CAD 43%), 792 (74%) were from urban and remainder (26%) from rural communities. Patients from rural centres were older (61 ± 12 vs 58 ± 13), and more likely to have a history of diabetes (63 vs 54%), hypertension (74 vs 55%), dyslipidaemia (78 vs 59%), CAD (50 vs 41%) and percutaneous coronary intervention (PCI) (27 vs 21%). The two groups differed significantly in terms of income level, employment status and indication for angiography. After adjusting for baseline differences, patients living in a rural area were more likely to have significant CAD (adjusted OR 2.40 [1.47, 3.97]), MVD (adjusted OR 1.76 [1.18, 2.63]) and LMD (adjusted OR 1.71 [1.04, 2.82]). Higher income was also associated with a higher risk for significant CAD (adjusted OR 6.97 [2.30, 21.09]) and MVD (adjusted OR 2.49 [1.11, 5.56]), while unemployment was associated with a higher risk of significant CAD (adjusted OR 2.21, [1.27, 3.85]). Communal and socioeconomic factors are associated with higher odds of significant CAD and MVD in the group of patients referred for CAG. The underpinnings of these associations (e.g. pathophysiologic factors, access to care, and system-wide determinants of quality) require further study. 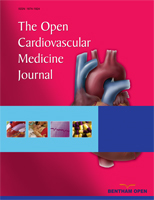 Keywords: Arabian Gulf, Cross sectional study, Coronary artery disease, Coronary angiography, Cardiac epidemiology, CAD. © 2017 Daoulah et al.